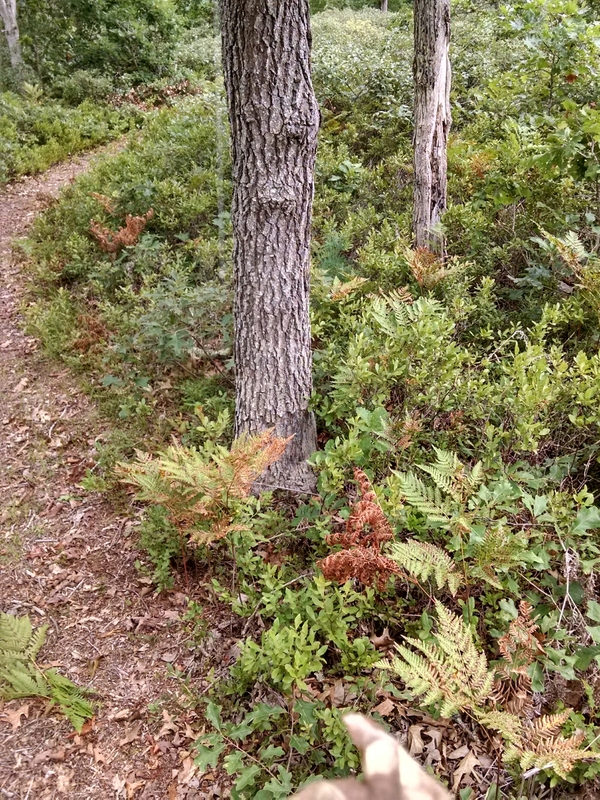 There is a 3/4 mile trail that runs through this parcel of property covered in scrub oak, low bush blueberries, sweet ferns and other low growing brush and surprisingly some larger (still short comparatively) oaks. 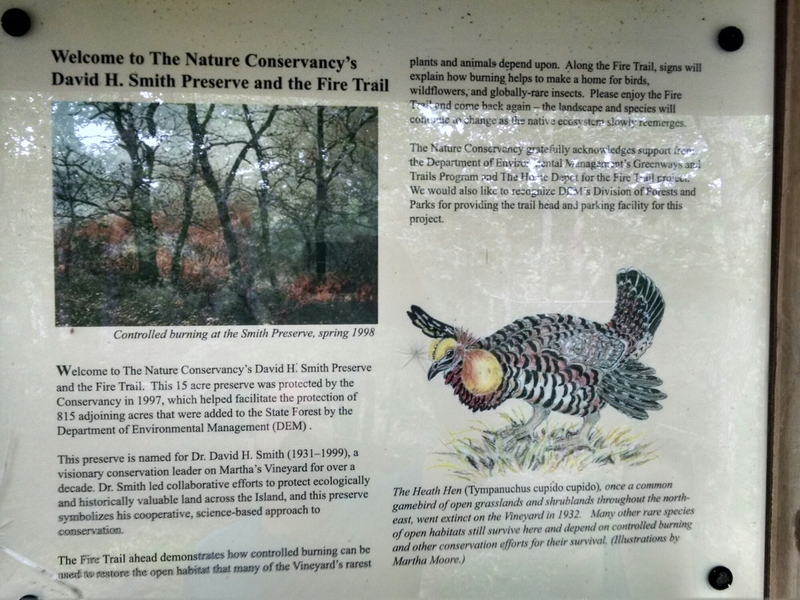 The trail does a good job of demonstrating a savannah habitat an how fire plays a crucial role in maintaining those habitats. The interesting part is how settlement of the island by non-natives affected the frequency of fire and natural restoration. The signs I posted pictures of are at the beginning of the trail. 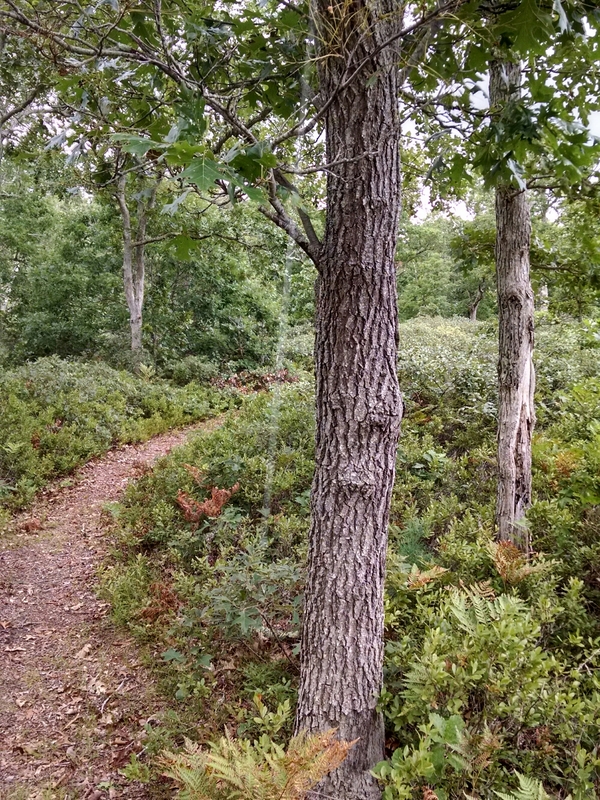 There are several more throughout the trail that build on those at the beginning. 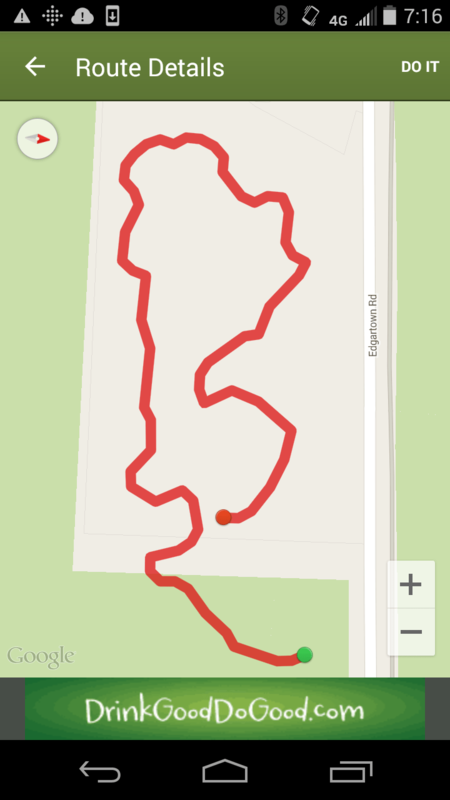 I don’t know how much foot traffic the trail sees. There were some very strong and thick spider webs! In the following picture there is a white stripe vertically, that is one of the several webs we ran into. This one was strong enough to hold onto the stick we used to clear it so I grabbed a quick video. 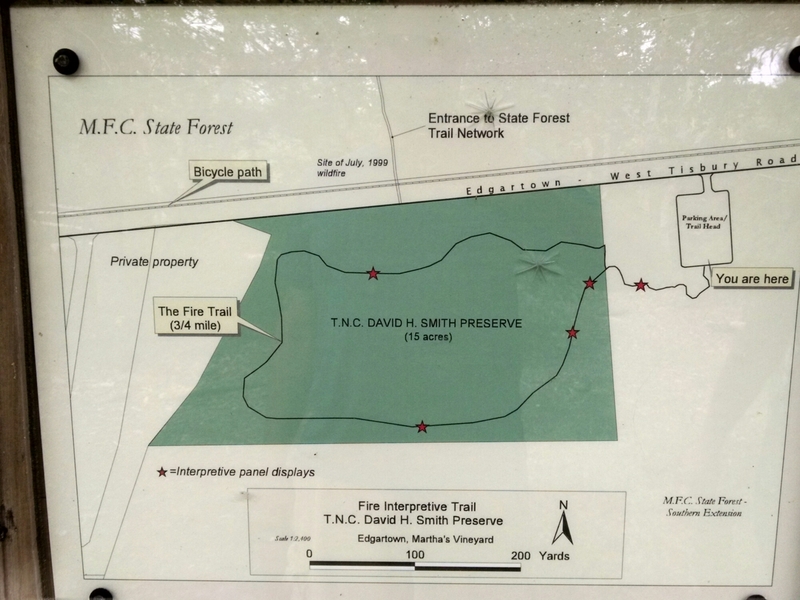 I love a nice walk in the woods where I can learn something and having a modest understanding of backfires from my conversations with Peter, my stepfather who was a smoke jumper and long time firefighter, it was interesting to see a spot where they were put into practice.